Merhaba değerli dinleyenler, yine yeni bir "Enlem ve Boylam"da, 110. 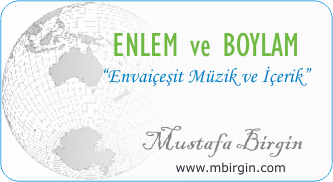 "Enlem ve Boylam"da, "Envaiçeşit Müzik ve İçerik"le, Ekim 2017 itibariyle huzurlarınızdayız. The man was a hacker. He was a thief. He knew computers. He knew them inside out. He was like a pickpocket. He picked everyone's pocket. He picked everyone's bank account in America. Everyone with a bank account lost money. Millions of Americans have bank accounts. All of those Americans lost money. But they didn't know it. Not a single victim noticed the theft. Not a single victim called the police. "We got lucky," said a police detective. "He cheated on his fiancé. She called us. But we're unlucky, too. We have no evidence. We only have her story. He might get away with his crime. He might get away with millions. He transferred all the money to another country. There's no way we can trace the money. He is very smart. Why? He stole only one penny from every bank account in America. Who cares about one penny?!" Bu sayfa, 10/31/2017 tarihinde yayınlanmış ve 2058 defa görüntülenmiştir.